*Our aim is to provide the best products and services for you to make your life more comfortable and convenience. *Our vision is to serve our customers well and surpass your expectations on quality and service. *To ensure our products are in excellent condition upon receipt. All products we sell, from manufacturing all the way through shipping have passed rigorous quality tests. *If you have any questions or concerns, please contact us by email and we will put forth our best effort to respond to you in a timely manner. Customer Service is a top priority at WenVen. Chart is for reference only, an allowable discrepancy(0.8-1.2in)depending on your measurement method. Please note we have updated our size charts to better serve you. If you still have questions on sizing, please reach out to us via email and we will be happy to help choose the size to best suit you. 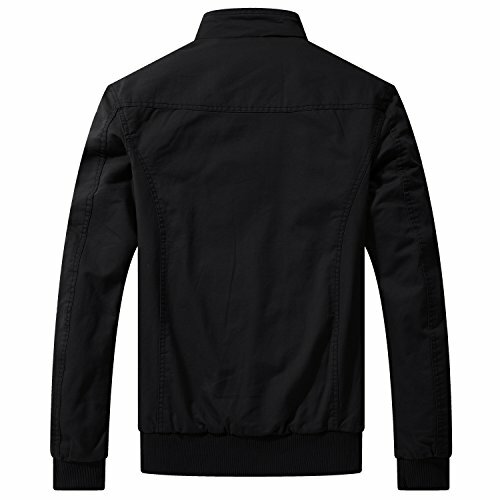 1) Classic military design jacket coupled. 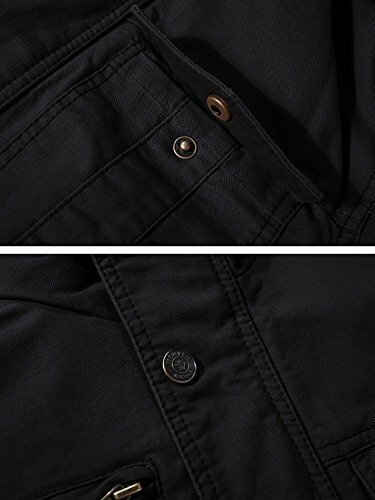 2) Multiple front button flap pockets. 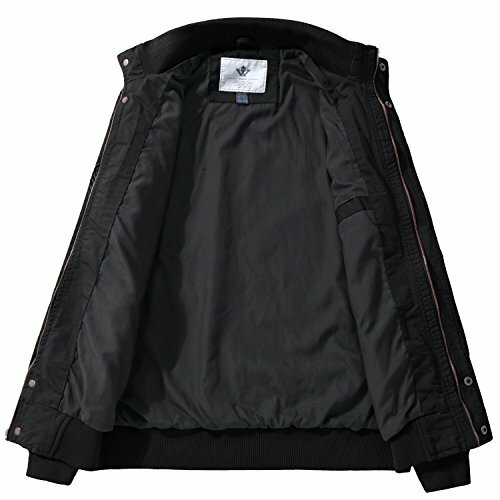 Includes hidden interior pocket. 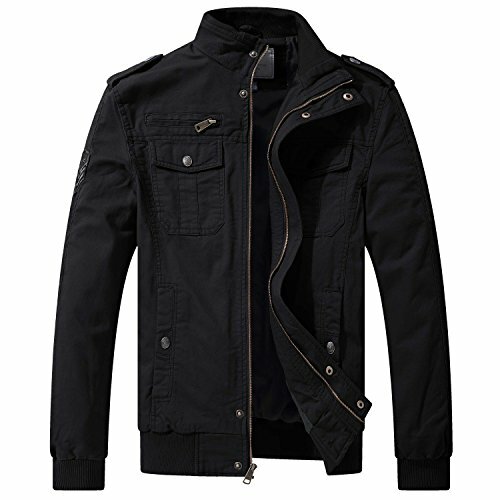 3) Made of high quality cotton fabric, durable yet comfortable. Fashionable embroidery patterns can fully show your personality and style. 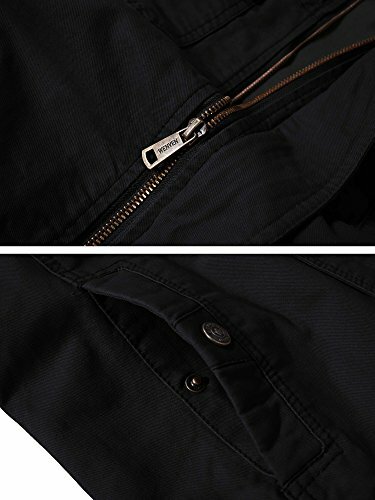 Five Pockets – four deep outside pockets and one inside, for keep your hands warm, another for keys, phone and so on. Jacket makes of heavy fabric. 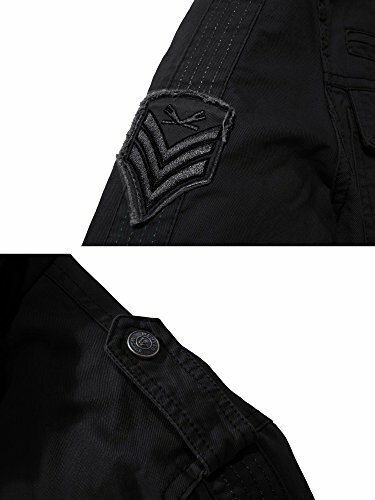 Seams are strong and it has an overall high quality feel. 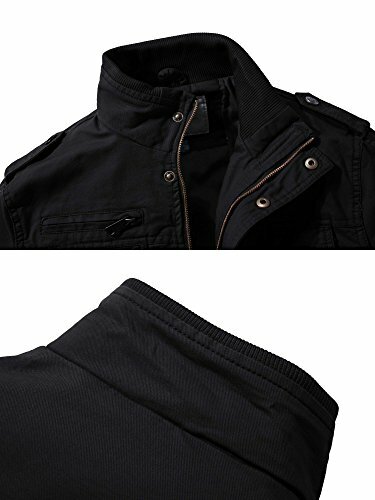 Two style jackets for selection: 9929 Jacket without embroider: please select color Black 1, Khaki 1, Military Green 1 / 9931 Jacket with arm embroider+elastic cuff: please select color Black, Khaki, Military Green.